Who Can Be a GOOD DADS Business Partner? A GOOD DAD'S Business Partner understands the value in helping fathers become more engaged with their children. They welcome the chance to promote father involvement in a way that benefits them, their customers and their community. They appreciate the potential to provide leadership in ways unique to their position. Full service marketing firm. Offering marketing research, media buying, graphic design, video production and digital media, SEO & SEM. Andy B's is the area's only full-service restaurant and entertainment center. We offer a full menu of unique appetizers and entrees, served in our restaurant or lane-side. With bowling, laser tag and video games, we provide fun for ALL ages! We also offer accommodations and special rates for large groups and parties. DermaHealth is a laser skin care clinic that focuses on all skin issues. Services include: lines of makeup products, skin care products, acne treatment, lesion removal, liposuction, and preventative medicine. Everything Kitchen is your one-stop shop for the best in home and commercial kitchen products. We strive to carry only the creme of the industry on our website and in our retail store: products ranging from countertop kitchen appliances to cookware, cutlery, dinnerware, flatware, and beyond. We are food lovers at heart and stand behind each of the products we sell. Foodlinks Inc., founded in 2001, is a premium food ingredient importer and wholesaler. It has been Foodlinks' privilege to provide the finest Colombian chocolate couverture since 2003. Our dedication to the quality of our products and to the Colombian cacao farmers has made Foodlinks one of the leaders in the chocolate industry. We take great pride in our sustainable farming practices, fair trade, and social responsibility. Foodlinks excels at and incorporates ethical business practices in every step of the supply process and partners with equally ethical manufacturers, suppliers and customers. 417 magazine is a life improvement company with the aim to enrich readers' lives with quality information presented in an attractive, entertaining way; advertising clients with attractive, effective media to reach those readers; and associates with a positive work environment that rewards professionalism and creativity. Great Southern offers one-stop shopping with a comprehensive line-up of financial services that give customers more choices for their money. Customers can choose from a wide variety of checking accounts, savings accounts and lending options and can access the bank when, where and how they prefer. Beyond traditional banking services, customers can also look to Great Southern for help with investments through Great Southern Financial Services. Ozarks FOX is a local broadcasting & media production company in Springfield, Missouri. Ozarks FOX - REAL. NEW. NOW. Prime Inc. cares about its drivers and their families. With the launch of Prime Good Dads, Prime is initiating practical, day-to-day strategies and activities to help dads stay connected to their kids, whether or not they’re driving cross country. Rick's Automotive aims to bridge the gap between dealerships and chain stores with an honest and competent auto repair facility dedicated to quality and affordability. Over the years, Rick's Automotive has grown to become one of the top ten shops in America! In 1987, Ryan Lawn & Tree began offering the highest quality lawn care to our customers. When you partner with Ryan Lawn & Tree, your Ryan Pro will evaluate your grass and trees, make suggestions and help you create a beautiful green lawn you love. Our Ryan Pro drivers provide services to the residents of Christian County, Greene County, and the surrounding area of Springfield, Missouri. We provide lawn care, tree and shrub care, irrigation, pruning, tree/shrub planting, and landscape lighting services to Springfield area residents. Spencer Fane attorneys serve clients across the United States in a variety of practice areas. In each of the practice areas listed below, our attorneys are sought out for their business knowledge, practical experience and ability to develop creative solutions to complicated legal problems. Using an interdisciplinary approach, we develop teams of attorneys to serve our clients for the life of their business. We look forward to serving you, both in matters relating to your business, and trial and appellate work in state, federal, and bankruptcy courts throughout the country. Springfield Lutheran School serving children from three years old through 8th grade. Opened in January of 2013, STA is been in business for five years. During this time, we've impacted the lives of hundreds of children and adults. One of my strengths as a parent, is empowering younger children and adults, as well as giving children a voice. STA empowers children with esteem, and the confidence to not only face life's challenges but also the strength to rise above. STA offers a very family friendly environment, and we are humble to serve the Springfield community. feel like you have enough for yourself - and to share. Vision Clinic is a private practice optometry clinic that offers complete eye care to our patients. This includes glasses and contact lenses, treatment of eye infections/emergencies, and diagnosis and treatment of eye diseases like glaucoma and macular degeneration. We have clinics in Springfield, Branson, Nixa and Ozark. We have been in business since 1967. Our passion is to provide extraordinary eye care, distinctive eye wear, and exception service, making every patient experience unique and memorable. ​Youngblood Auto Group is proud to be an automotive leader in our area. Since opening our doors, Youngblood Auto Group has kept a firm commitment to our customers. We offer a wide selection of vehicles and hope to make the car buying process as quick and hassle free as possible. We have an experienced and reliable Service and Parts departments that are open extra hours to help fit our customers' hectic schedule. Customer satisfaction is our highest priority, and our staff is committed to achieving this goal in every aspect of our business. Please feel free to reach us at (417) 882-3838 if you have any questions or comments. 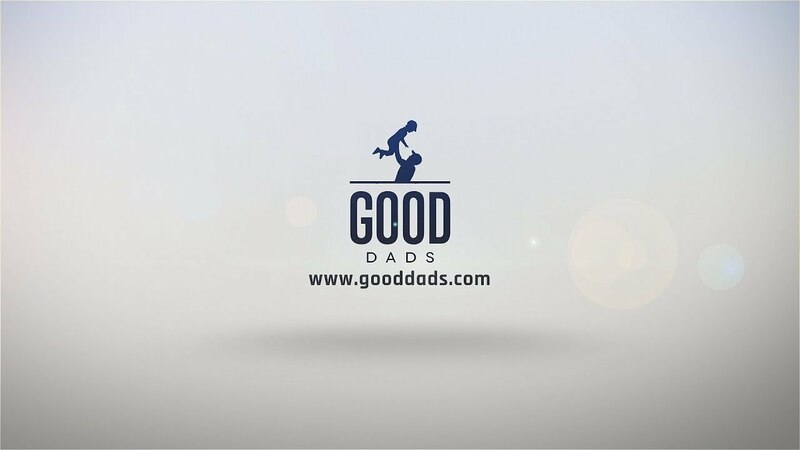 Are you a business, group or individual interested in being a part of Good Dads? Copyright 2019 Good Dads. All Rights Reserved.